Wally Hammond is a former English cricketer who has played for almost three decades. He represented England in Tests in 85 matches scoring 7,249 runs with an excellent batting average of 58.45. Wally Hammond played his first International match during 1927-28 Tour of South Africa at Johannesburg. He made fifty on his debut scoring 51 runs and took five wickets in South Africa's second inning. He scored 90 runs in the first innings of the third test of the series at Durban. He scored 321 runs and 15 wickets in five matches of the series. His next three Test series was against touring West Indies Team. He made 111 runs in this series with a top score of 63 in the second Test. Hammond's next big series was against England in The Ashes. In the first test, he made scores of 44 and 28. But in the Second Test at Sydney, he made 251 runs in the England's first inning. He again scored a double hundred in the third test scoring 200. In the fourth test, he made centuries in both the innings of the test scoring 119* and 177. His series aggregate was 905 runs in five matches with an average of 113.12. That was a record at that time for highest number of runs in a Test series, which was later broken by Sir Donald Bradman. England went on to win that series by 4-1. Hammond's next played in a Home Test series against South Africa. He made two more centuries to his tally in four out of five test he played in the series. In 1930, when Australia toured England, he was not at his best as he just scored 306 runs in the five match series with a top score of 113 in the third test. At that time Bradman was in the touring team and made 974 runs in the series, breaking Hammond's record of highest run in a series set in previous Ashes seires. England lost that series by 1-2. In the famous Bodyline Tour, he made 440 runs in five tests. In first test he made 112 runs and 101 in the fifth test. Hammond scored his highest Test score of 336 not out on New Zealand Tour at Auckland in second Test. Hammond's form was lost in 1933, when West Indian team toured England. He also performed poorly in 1934 Ashes Series scoring just 162 runs in five Tests. His poor runn of form continued against West Indies and South Africa. England lost both series 1-2 by West Indies and 0-1 by South Africa. 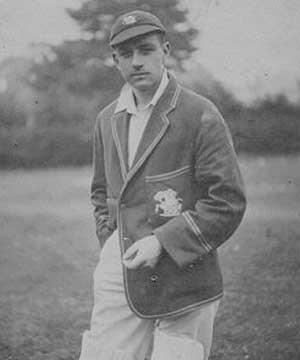 Hammond returned to his form in 1936 season when he scored 167 in second Test and 217 in the third Test. 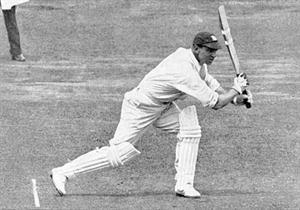 In 1936-37 tour of Australia he scored heavily with 468 runs in five Tests. He scored 204 runs in three match test series against New Zealand. Hammond become the captain of the England team in 1938. His first test series as captain ended up as drawn by 1-1 against Australia. He himself performed well scoring 403 runs witha an batting average of 67.16. His next series as captain was five match series against South Africa, which resulted in 1-0 in favour of England. He scored 609 runs including three centuries. Hammond's career was disturbed due to World War. He captained England against India in 1946, which England won by 1-0 but his performance was not great. Hammond played his last series as captain against Australia, which they lost by 0-3. He failed with bat also. In 1947, he played his last test against New Zealand in which he scored 79 in the only inning. He was the highest run scorer in Test cricket at the time of his retirement. He also has 83 wickets in his account. Wally Hammond has a long first class career as played for almost 30 years. He has also scored more than 50,000 first-class runs including 167 hundreds with an batting average of 56.10, a little less than his Test Average. He played for Gloucestershire for most of his career. He is seventh in the list of scoring most number of runs of first-class runs. He is also second in having most nuber of centuries in first-class career. In his first season for Gloucestershire in 1920, he played only three matches scoring 27 runs. In 1923, he scored 1421 runs in 29 matches with one century against Surrey. He scored 174* against Middlesex in 1924 season again scoring more than 1000 runs in the season. In 1925, he scored three centuries and 1,818 runs. He scored 2969 runs in 1927 season with 12 centuries averaging 69.04. He repeated this performance in 1928 season scoring 2,825 runs and took 84 wickets. In a match against Surrey he took ten catces in the match. Hammond scored more than 3000 runs in an English season three times in 1933,1937 and 1938. In 1934 he scored 3,323 runs, his highest in any English season. Hammond has also took a heavy nuber of wickets in his first-class career (732 in 634 matches). Three times he took more than 10 wickets in a match. Wisden has praised his bowling skill at numerous times. In 1928 season, against Worcestershire he took nine wickets for 23 runs in their first innings and a total of 14 wickets in the match.